And Shaider is part of it from the looks of it so far according to the Toei Kyuranger page. There's going to be another Space Sheriff movie. That's good. It's a crossover with Kyuranger. That's bad. I really need to stop using monkey paws for stuff I want. Kyuranger and Space Sheriff? Heck. Yes. Great glad to see some more Kyuranger. Also inb4 anyone else Shaider Figuarts Renewal sometime this year like gavan hmm? 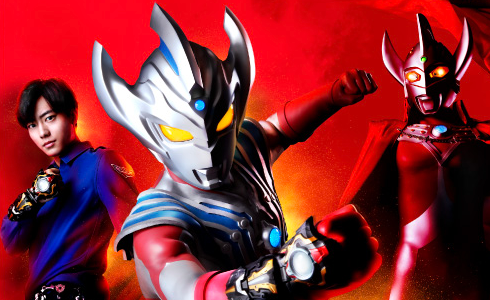 I hope some of the other Metal Heroes teased at the end of the last movie (Juspion, Jiraiya, Jiban, Redder, B-Fighters, etc) are part of this, and have their actors come back. I'll always take more new Sheriffs content so this is neat. Would have been nice to see the Zyuohgers again though. Y no Kyuranger VS Zyuohger? Apparently ZyuohElephant's actor was involved in a hit and run incident, and knowing Japan, it puts a hold to the annual VS movie which by this time is defnitely cancelled. Seems this movie is the VS movie albeit released later than usual.